Do your Comments and Replies attract or chase away readers? If you are like me, you probably relish “Comments” from readers. And as we all know, comments are great morale boosters, aren’t they, and keep us fuelled. For this reason, I try to leave behind well thought out comments on blog posts that touch me. Do unto others — (Note: “try” as I don’t always succeed). I also try to give thought to fashioning “Replies” to “Comments” left in my blog. We all love positive feedback but negative feedback is more challenging and needs greater consideration. Our “Comments” and “Replies” give us opportunities for building bridges and traffic across cyberspace – or destroying both. If you are an aspiring (or even published) author, poet, editor, etc – your “Comments” and “Replies” provide a window to showcase your skills. Think of an “editor” who commits horrible grammatical errors in his comments or replies. Need I say more? The same applies to several other callings. At the very least, our comments and replies reflect on us as human beings. As an aside, I have also acted as a bozo with some of my “Comments” and am constantly learning. Unlike “Replies” on my own blog, a comment posted on another’s blog can’t be retrieved. Since I started blogging about 16 months ago, I’m sure to have offended some with my “Comments”. I do apologise and shall continue to be more circumspect. Carefully crafted “Comments” encourage bloggers to visit your posts and, hopefully, to start “following” you. And not only the bloggers, but their readers too might check you out. Similarly, the “Comments” left on your post, provide opportunities to add depth and scope to your post – via your “Replies”. As my regular readers are aware, some who read my “Comments” section remarked that it is an added bonus. I am humbled and encouraged by such compliments. And a great big “Thank You” to all the people who leave their comments in my blog as their contributions trigger interaction and add vibrancy. Do check out my Comments section – take a recent example > The Fried Chicken Syndrome – or something more serious > Mammon, a haiku or any other post for that matter. As mentioned in my page – Blog Tips – building traffic is fun when incorporated as part of our overall blogging experience. 1. What are your considerations when posting “Replies” and “Comments”? 2. How do you handle negative feedback to your comments and replies? Thanks for your down-to-earth, upbeat reflections about likes and comments. I love getting and leaving both. I didn’t have time (!) to read all the comments above, but was encouraged to keep at it. There’s definitely a correlation between taking time to comment–even briefly–and visits to my blog. So happy WordPress pointed me your way. They were right on this one! I notice that your blog is marked “private” and one needs to sign in to access. Unless you’ve compelling reasons – this would dissuade most visitors. You might want to reconsider. WordPress pointed you my way? I don’t quite understand. You’re welcome. Thanks for telling me it’s marked private. It isn’t private, and never was. I’ll check it out. As for WordPress pointing me your way, your blog came up in their rotating list of blogs I might like to visit. So I did. I appreciate every single comment I get, but I wouldn’t mind a negative comment or two on my blog. Good criticism is inspiring, and bad criticism, while annoying, can sometimes be even more inspiring to me. As for myself, I try to only comment if I think the comment I’m about to write is worthy of the post. Unfortunately, sometimes that has lead me to say mean or dumb things on mean or dumb posts. Always maintain a constant level of professionalism, that’s what I’ve learned. Thank you for reading and commenting, Shane. I don’t recall ever posting a mean comment or reply – although I sometimes delete mean comments left on my blog. At other times, I do leave the mean comments standing – more as a reflection on the person who made it. I subscribe to that – about maintaining a level of professionalism and decorum. I share your viewpoint absolutely – say positives or not at all. Beautiful post. I, like everyone else, enjoy getting comments. Not only do they suggest the reader appreciates the post enough to share their thoughts, they often help me in acquiring different perspectives. Like you say, they add scope and depth. BTW, Eric, I’m from Singapore too. A Singaporean? Hey, you’re my kind of gal. I know you live in Melbourne and assumed you were from Malaysia, Taiwan, HK, etc. Why? Because, although I’ve hundreds of Singaporeans ‘following’ my blog, only a handful (less than 5) actually post comments or even tick ‘like’ – I believe they are mostly shy. So nice to interact with a local girl 🙂 I hope I don’t come across as being overly partial to Singaporeans – but only because it is so rare to receive comments from them. Well articulated Eric, as always. Since I started blogging, even though it is more nerve-wracking, I have looked fwd to “comments” more than “likes”. It gives you a glimpse into how it affected a reader. While “likes” are welcome, I think the engagement is more superfluous. I do observe that all of us tend to be circumspect, perhaps more than is required, while commenting on other posts, for fear of offending. I am guilty of the same. I think a writer (or an aspiring writer) will benefit more from an honest comment than a needlessly eulogistic one. We all love comments – especially those that help us grow. Some types of posts require candid feedback – about the economy, injustices, etc. – and with other types, we can be more generous, I reckon. I usually leave comments if I can add to the discussions or if the post strikes me. Otherwise, I tick a “like”. I’ve responded to some writers who asked – pleaded even – for candid responses, only to be flamed when I said something not to their liking. So, now I don’t except for a handful who genuinely welcome candid comments. I wonder why anyone would want to leave donwright nasty comments in “their” blog. Unless, as you point out – the aim is to drive traffic. People who put up their names and images seldom resort to unreasonable comments and replies, I reckon. Anonymity brings out the worst in most of us. Eric’s ability to find the time to respond to everyone’s comments never ceases to amaze me. I view responding to comments as part of blogging. I don’t buy that argument from some bloggers about how busy they are and simply can’t respond to comments or visit the commenters’ blog. But, meanwhile, they keep churning out post after post and expect others to visit and comment. I reckon this has to be mutual support – unless the person is such a well known celebrity or something. In my case, if time does not permit, I simply cut back on my posts so that I can put aside time (at least) for my commenters. I do hope you haven’t interpreted my comment as any form of criticism — it was most definitely not intended as such. If someone comments on my blog and then I visit theirs and comment there, this does indeed tick the box for ‘mutual support’. However, to other visitors to my blog it may appear that I am ignoring my commenters. The only way around that problem would be to comment in both places… which is sometimes nonsensical, and is certainly time consuming (so I am tempted to accept the ‘too busy’ argument — life is too short). It’s like the concept of the ‘like’: some things I actually ‘hate’ — because I want to like them (to acknowledge that the item is important), but I don’t like the content itself, or what it means. Not taken as criticism at all. 1. When someone comments on my blog, I reply to their comment on my blog. 2. I then extend the courtesy by visiting their blog, reading their post(s) and (almost every time – unless I find really nothing to say) leave behind a comment in their blog re their post. In that case. your ability to find the time to respond to everyone’s comments doesn’t just amaze me, I am totally in awe, considering how many followers you have. It takes me too long to compose replies to consider trying to craft one for every post I read (not to mention some places I visit require registration, blogspot is clunky, and so on). As for the ‘nonsensical’, I did say ‘sometimes’. I had in mind in particular those occasions when I would visit someone else’s blog, comment there… and then that person would visit my blog and respond to the comment I’d made on their blog on my latest post, making the content totally out of context not just for any other readers but often for me, too. Another thread to all of this is that it’s only fairly recently that WordPress has had a built-in system that alerts me to the fact that there are responses to comments I have made (and of course that only applied within WordPress, not elsewhere). Though this is handy, I’ve sometimes thought that it’s unfortunate because it’s like the situation where someone says, accusingly: “I sent you an email — why haven’t you replied yet?”. Sometimes I need to go ‘off the grid’. ‘Too busy’ may sound like an excuse, but I say again: life is too short. I’ve always felt, though I sometimes grapple with this advice, when upset – walk away. Time and distance blunts the edges. I don’t have problems when people disagree with me. “Thank you Eric, but this is what I feel —.” Hey, no issues, I can wear that! What grates is, when people feel their views cannot stand unless they destroy everyone else’s. That’s presumptuous if not sad. And you can see how the readership of these blogs dwindle. This exchange is in the context of building blog traffic. Glad that you cut that guy some slack. I believe it worked out well all around. Personally, in regard to commenting, I often find it comes down to trying not to gush, when I really like what someone has posted. It’s about getting that delicate balance between praising someone else’s work, on the one hand, while not seeming to fawn over the creator of the work, on the other. That said, you’ve given some great advice and insights here into the whole interplay between “comment and reply” that we, as bloggers, are needfully caught up in. For your visit and input. Thank you also for “following” my blog. I’ve also clicked to receive your updates. Eric, Welcome and thank you for your permission as well. I agree with Yoshiko too. And may I reblog this? Reblogged this on Danny Breslin. and have to admit there will come a tipping point. I thank you for putting aside, for me, your time. Re: Negative Feedback: Always remember to ask yourself this question: “Why is the person saying this?” Could be candid & constructive. But, just as with positive feedback, the statements made will always have at least as much to do with him/her as with you. Same goes with neutral feedback, as well. … And, with that, I’ll just stop here. Behind every comment is a person and intentions – as many commenters here had mentioned. And every comment reflects on the person making it – but not neccessarily on the person receiving it, I reckon. As long as we speak in generics…this is never ending. Thank you for your comment and advice. I love comments,well that is why i am sharing isnt it to get other people’s views on my write ups, negative comments can hurt but more ooften than not they help me to grow. so i take that is a positive spirit. must say this was a brilliantly written and very useful post. I’m usually reluctant to comment on posts about personal tragedies – always felt awkward because words can never help. Moreover, it is a rich ground for taking offence – as all it takes is a misplaced word or a poor interpretation of nuance. Actually I haven’t been gone, just quiet. Nearly all the new stuff I do is Bible study stuff and that is on Caleb’s Eye II. I still put poetry on the original website but it has been too long since that muse hit. sigh. It sounds like you have had worse experience with outrageous comments than I. Mine was content to warn me I was going to hell. Generally I do have a more specialized audience, it is true. That makes me feel all the more honored by your visits. Caleb II – Bible study – all the very best. The example I pointed out was the most extreme I received. She had identified herself with picture and name – so, to give her some benefit of expressing her opinion, I cut her some slack – until I realized she had some real problems. My sentiments are – you have problems, don’t make them mine – see a shrink. The occasional nasties from “brave” people who hide behind anonymity – these I spam. I am always so appreciative when someone comments on something I have written, they have taken the time to give me their thoughts even if it is just to tell me they enjoyed something. I try to respond to everyone, even if it is simply to thank them. When I read other blogs, I love reading the comments and responses. As you say the interaction adds vibrancy and expands ideas. This I think is what makes the world of blogging so interesting, the interaction. To the idea of negative comments, in Tilted Tiara I don’t believe I have ever gotten one. In another place I write to a more controversial slant, there the comments can get extremely negative. In fact I have had some who have threatened me with physical violence, tell me I am brainless and stupid, tell me they hope I am raped and killed; all sorts of lovely things. Most I let stand, explain why their comments are problematic and move on. What I don’t let stand? Fallacious and self-serving arguments, funny right. I suppose these brave people all hide behind layers of pseudonyms. Not long ago in Singapore, one man posted nasties about a blogger on her blog. He thought he was safe as he hid in anonymity. The spunky woman tracked down his IP address and exposed him and his family to much ridicule – complete with photos lifted from his Facebook. He claimed “unfair hitting below the belt” as his family was also muddied. I simply find it easier to delete their comments. Make the statement I have done so and why. If they come back, I simply continue to delete them. Far to much work to do otherwise. My favorite was a person who told me if Jesus was alive he would slap me to death. When I pointed out Jesus was the King of Peace, he said he would make an exception for me. I laughed till I cried. It will not be the first time some wolf or lost sheep tries to hijack the Good Lord for their own ends. If you wish or perhaps you are already aware of the run-in I had with a self important priest > http://wp.me/P1YE83-ol – it is somewhat laborious and if pressed for time, you might want to give it a miss. The man is not worth your time. I agree the best way to treat such people is to ignore their very existence. You know I will have to go read! An interesting post and one that I battle with – the replies. On each occasion, I thank the person for firstly visiting, reading and commenting. I also give feed-back on what they have written. When I started my site in August last year I had no idea the amount of work that would be involved once people started following me. It is hard work! That being said , I wouldn’t want it any other way. I come home from my ‘day job’ and can spend up to 2-3 hours reading other posts and replying to the comments left on mine, then I write a piece. I think it simply boils down to manners. If someone has taken the time to follow you or just read and place a comment, then in return I acknowledge that. I have had a couple of critical comments only to do with punctuation and when I re-read (as I’m in a writer frenzy at the time and don’t take heed to such matters) I thank them and go back and correct. Thankfully thus far I have not had any negative comments about what I have written. Fingers crossed…but then again I am open for critique and would find it a challenge, if they are honest in their intent. Thank you for your visit and comment. I think you got it right. The problem of time gets acute when we have more people “following” and commenting. There is an obligation for us to respond and visit. What do you do when one has more than a thousand active bloggers who are “following” you – one is forced to make impartial choices. I accord priority to those who visit and comment, or at least tick “Like”. I also set aside time to visit all my “followers” at least a couple of times each week – it is fullfilling fun (pun intended). I don’t normally point out typos and grammar – nobody likes it but it will not go away. I’ve picked out glaring errors even in NY bestsellers that have supposedly gone through professional editing. For me, the key is content. If that hits a chord – let’s sit back, relax and enjoy. I value even negatives comments. Having been an administrator most of my life I always expected some negative reaction to needed change. The negatives get our attention so we can review what we are implementing, doing or saying.its a point of view that can help us improve. If the comments go beyond acceptable behaviour you can deal with it. In the case of blogging you block nasty people. Very true, Ian – we handle criticism differently, depending on the environ. For blogging, it is best to simply ignore and block the nasties – we should not even give them the pleasure of a retort, that would mean acknowledging their existence. This is especially so when people hide bravely behind anonymity and spew vitriol. P/s I’m done for the day and am nursing a lovely tumbler of Jack Daniel’s as I read and respond to comments. We value all our commenters and readers. You are right, some encourage with their words and others help fill in the gaps we missed. A true “gotong royong” – community self help initiative, I reckon. I try my best to pitch in whenever I can – as you do too. Naturally it’s great to get a comment – and so curious when people only hit ‘like’. What, you like but I brought no thought from you? But then I also realise, sometimes you just can’t add to what has already been said in comment, and again – and ‘like’ is sufficient. With some very personal posts, I am a little awkward about commenting. One has not walked in the person’s shoes and can easily cause offence with a misplaced remark. But I usually tick “Like” to indicate my visit and that it has touched me in some way. Yes, the response has been very good and I am grateful to all who commented – and/or read and ticked “Like”. I value comments on my posts soooo much! I like to read what people think of the words or music – good or bad 🙂 I know people are busy too so I appreciate that they took the time to stop by my site and drop a few words during the day. You mirrored what most of us in Blogsville welcome. Well thought out post. Now in leaving this comment I feel I have a new standard to live up to. That is not a bad thing. I seldom get comments on my blog, and partially I think that is due to the primary subject matter. Only twice have I gotten negative comments, and they were pretty intensely negative. I just tried to give a reasonable answer and let it stand. Their criticism was so extreme that I couldn’t figure out how to get any good from it. When I leave comments I try not to be negative only if the blogger specifically invites it – seldom, in other words. Frequently, I have difficulty thinking of anything to say. Now I must say your blog is exemplary. You do a good job with this kind of thing. I have never noticed any failure on your part to be courteous. I actually have nothing negative to say even if you asked for it. You dropped out of sight for a week or so. Great to have you back! Regarding extreme comments – there are what we call “trolls” – bloggers who go around posting nasties to draw attention to their blogs. It is pathetic because it is a one-off visit and their blogs are usually shunned – and rightly so – by the blogging community. I once had a kid (18 years old) post some very vitriolic comments about one of my published books. By his own admission, he had self-published an ebook (a novella) and sold a grant quantity of “one”. He also took umbrage with my book reviewer – an established author of some standing in the region, if not the world. The kid actually posed a question – “Who is XXXX who reviewed this book? Never heard of him! This is not a review, this is nonsense.” Then he caps off to say, “Okay I have not read Eric’s book but did read three pages and it rightly belongs in the slush pile.” Then he proferred advice on story development, character and dialogue. I did not leave his comment standing because he was obviously trying to draw traffic to his blog. I also did not acknowledge his infantilism with a reply. It is sad because he is an aspiring author and the literary community is small – even more so in tiny Singapore. Coming back to your blog – if you are writing for yourself and a select few, you are doing all right. You certainly have me visiting and commenting. Though I must say, you have not published for a while. Thank you for your kind thoughts and words of encouragement for my writing. I always leave comments on the posts which I actually like and on the blogs which are my favourite! It feels connected to the writer and the concept of the thought that has been posted! whatever I can share ,whether it is my view or my emotion,or just a reaction,I try my best to comment on the posts of almost everyone’s blog whom I regularly sincerely follow! Yes If I dnt receive any comment on my posts,I feel I haven’t been able to do justice to the topic which I have chosen,due to which I wasn’t able to instigate any reaction! My lack of perfection in my effort! As you probably know, I comment when I have something worthwhile to share. Otherwise, I leave my ‘calling card’ – tick “Like”. You’re doing good and have a healthy number “following” who always leave behind words of appreciation and encouragement. This is mostly because you treat all your commenters respectfully and correctly. I view you as a lovely soul, my dear. Wow! that was a lovely treat of showering praises ! To hear from you on my post is like accomplishing a task perfectly! So your appreciation is always awaited and earned I feel! First, I don’t normally insist on having the last word – not even for comments in my blog. I leave that to Mechanic Leigh 🙂 but your remark brought a smile – poor hubby 😀 – But I am sure he loves you troubling him. As you can well imagine, I try to visit all my “followers” at least a couple of times each week and this leaves precious little time to comment. All the more, as I invest time thinking about appropriate comments. But when a post strikes me – never mind typos or grammar – I want to show my appreciation and encouragement. P/s Typos and grammar can be easily fixed by a good editor – the key is the original and creative content and that remains my focus. I am always grateful when someone takes the time to comment on one of my posts. I can’t tell you how many times I’ve wondered if any of my followers are reading or if what I write touches anyone even the slightest bit. Once again, I appreciate your generosity in addressing concerns common to “Bloglandia” (I like that from Joel’s comments). Your comments are what reveal you as a person of heart and great spirit, Eric. I respond as graciously as possible to every comment–even to ones from those who don’t seem to understand my posts. My time is limited so I don’t always comment on others’ posts. If something touches me, I comment. If I’m in a rush, I at least “like” the post so the blogger will know I’ve visited and appreciate his/her writing. After reading this post, I hope to improve my own commenting presence. You echo my sentiments about time constraints, reading and commenting. This is even more why we need to treasure those who post comments or even tick “Like”. Everyone is after readers’ time – and when given, we need to husband their return. This is a challenge for all of us. By sharing our experiences and even “likes”, we can pick up tips and step up the blogging experience for our readers and ourselves. I agree with your position. Up to this I still manage to leave more comments than Likes and while I lack your melodic eloquence, I think I succeed in respectfully expressing the points I wish to make. I analyse each piece and highlight its virtues to encourage the writer and am always complimentary of at least one aspect of the post. I sometimes make a point of politely offering suggestions but limit myself to technical writing issues that are within my formal competence (in this case Editing). In all cases of doing this my input has been appreciated and a number of bloggers have replied that it was rare for them to be offered constructive criticism and would like to see more of it. I have seen simple misspellings in posts that some twenty others have Liked and believe it wrong not allow the author the opportunity to correct a potential embarrassment. Your article is timely and valid. I support any initiative that helps to establish a protocol for better feedback between bloggers showing courtesy, sensitivity, encouragement and even some ‘tough love’ – judiciously applied. This is a circumspect piece on an important issue. Well done Eric. For a person who pleads meagre eloquence, you are succinct. Yes, I recall your comment on my post “Sleep” > http://wp.me/p1YE83-R3 You were direct but also suggestive rather than aggressive. Thank you, I appreciated that. I spot mistakes all the time – even one of yours above – but my take is, let’s have fun. Therefore, I don’t normally point out typos or even poor grammar. The only time I do, and you are right here, is when someone wants to eat Grandma. Yes, then I’ll suggest a correction to > Let us eat, Grandma. I admire what you do – reading, analysing and encouraging bloggers. It’s also a great way for you to keep the pencil sharpened, I suppose. There are many who are anxious about going public and receiving nasty feedback. A gentle hand such as yours is always welcomed, I reckon. Thank you for your kind compliment about this post. I shared my experiences and am rewarded with so much feedback from fellow bloggers sharing their views. I have two blogs, one in English and one in Romanian. The one in English is not very popular, I have only moved it on wordpress in November so it’s pretty young. I am very grateful to each person that spends few minutes reading and/or commenting on my blogs since I am aware of how many articles exist on the world wide web. Because I respect each reader I try to reply to each comment in the nicest manner. As for the negative feedback, it can be classified in two categories: constructive and mean. I do appreciate constructive negative feedback because it is sent to me with a good intention. But at least in the Romanian blogging world, many readers comment just for the sake of it and their comments are very bully like. To these readers I explain once my position then I am done with them. Two blogs – Wow! I’m pressed for time just maintaining one. Yes, people can be so mean and I suppose that delete button has its uses. I once had a female blogger who evidently thought she had discovered god. She insisted that I should get to know “her” Jesus – she asked – Do you know MY Jesus, Eric? She hinted that if I did not know “her” Jesus – I would surely burn in hell. After a few polite exchanges – the politeness was all from my end, whereas she became increasingly belligerent > I took Arnold Schwarzenegger’s advice > I “terminated” her as “spam”. My sentiments are > If you can’t say something nice, hold it. If you really have to say something un-nice > package it with love. Indeed, I also relish comments and replies. So, I know people reading my stuff and they like it. And it will open a door to communicate to each other. A ‘Like’ is also good but communication may not happen. Anyway, I always check the blogs of the people which gave me any response to my posts. I do the same thing – always check out anyone who leaves a comment or ticks “Like” – it might take me a couple of days, but I always catch up. That is a very valid point – cultural differences. We all speak/write in English and that lulls us into thinking we all mean the same thing when we say the same thing. Quick examples without going into details: In my business dealings with Japanese, I learned quickly that even when they mean “No”, they say “Yes”. The same in Indonesia – they are so reluctant to deny a request and one often walks away thinking it is a “GO” – when actually, for them, it is still very much at the “Discussion” stage. I reckon constructive criticism is acceptable especially if added with some better proposals – worth reviewing and we get to learn something new. Comments or replies – keep it simple, voice your take – preferably with added humor, one that originates from the reader allows the writer to see a different view point and perspective. Like you usually say – each brings home a different read. Your comment column from international feedback is itself an interesting site. Negative feedback – if possible analyse the motive and see if there is any credit. Totally unruly response – thank God we have a “delete” button. Yes, I’m blessed to have a wide readership from 132 countries. There are 193 UN member states – so, I still have a lot more work to do. Frankly, I didn’t realise there were so many countries with English speaking people. Amazing! Great post! I think most bloggers love comments (I know I do) and I do my best to respond, but sometimes it does take a day or two. If I miss one, it’s an accident and I hope it isn’t taken personally. When I leave comments, I try to write more than :”I like it”. I prefer to have something specific that stuck with me, or my general reaction to the story line. If a part of it didn’t quite work, I might say so, but if I disliked the piece entirely, I won’t write that. When I get negative responses, or suggestions, I always thank the person for sharing their opinion. Sometimes I find after a day or two I can see where they are coming from. It doesn’t mean I’ll change it, but I learn for next time. Like you, if I miss replying to a Comment, it is an oversight on my part. Recently, I “Replied” to a comment by someone in an earlier post I published a year ago – with suitable apologies. He was gracious enough to give a friendly wave-off. We share the same approach when commenting – something unique and add value rather than a mere “beautiful” or something along those mono-thoughts. With negatives, we all have a similar approach, I see – you, me and other contributors here – sit on it for a day or two to let the initial disappointment and even hurt wash off, and then we can appreciate better how best to respond. Thank you Janna – very useful feedback. I like making and receiving comments too, Eric. When I had a blogger comment about my blog being hard to navigate and read I was puzzled as I had not had anyone else complain. I decided to consider their words and after a couple of days made some changes that I love. Then someone else also pointed out something and this time I could not fix it unless I changed my blog theme. So I just left it until a regular visitor mentioned the same thing. Then after thinking about it for a few days I looked into other themes and found one I like better. My point is that even if someone is not gracious in their comment – we can still learn something from them and turn it into a good thing! It is true some themes are more challenging and require tweaks for easier navigation. But beyond a certain stage, the blogger has to do some trading off, I reckon. We can learn from every comment – true. There are nice ways and less nice ways of saying something, especially about the less nice things. 🙂 The one who was nice about it is a follower – the other two are not – but I was blessed none-the-less! Me too, I love comments. Not only to I write for myself but I write for others to read and with comments I know that someone else is reading and hopefully likes what I write. Comments help me to become a better writer and more mindful of my readers. As always, Eric you bring out the best in other writers. That is something I failed to emphasize in my post, Susan – we also write for ourselves. Very true. You are lovely with your compliment – it is an open and easy secret – love begets love, I reckon. Thoughtful and helpful information. Thank you. Something I have noticed since I began using WordPress is that many people seem to be unaware of or do not notice the little “reply” link that is normally present somewhere in each comment that has been left. As a result, they use the main reply or comment module, which posts a general comment directed to the blog’s author rather than to a person who placed a comment. When replying to a specific comment, it is very helpful if that specific “reply” link is used. It notifies the original commenter, if they have requested email notification, that someone has responded directly to their comment. Thank you and always welcome your input. What you pointed out about “reply” link is right and many might be unaware. For readers who stumble on my reply here > I say this in all seriousness. I “met” Richard in Blosgville not too long ago. He is a gentleman who welcomes views contrary to his and responds with maturity and intellect, and always treats his commenters with respect. I speak from my experience with him and hope I did not make him blush. Thank you Eric. Such compliments tend to produce humility more than embarrassment, not to mention the challenge of living up to them. I only thought that since these comment threads are a way for people to communicate, which is something we probably need to do a lot more of, it would be good for us to know when someone is attempting to do it. Glad that you think so – we are all merely sharing what little we know. Well fancy this post Eric – I have not long ago put the finishing touches to my post for tomorrow – it’s like I read your first and then went and scribbled off my offering – nothing could be further from the truth – in fact I might just go ahead and publish it when I send this reply on second thoughts I think I’ll keep myself in suspense until tomorrow – I don’t believe “offend” is in your vocabulary. 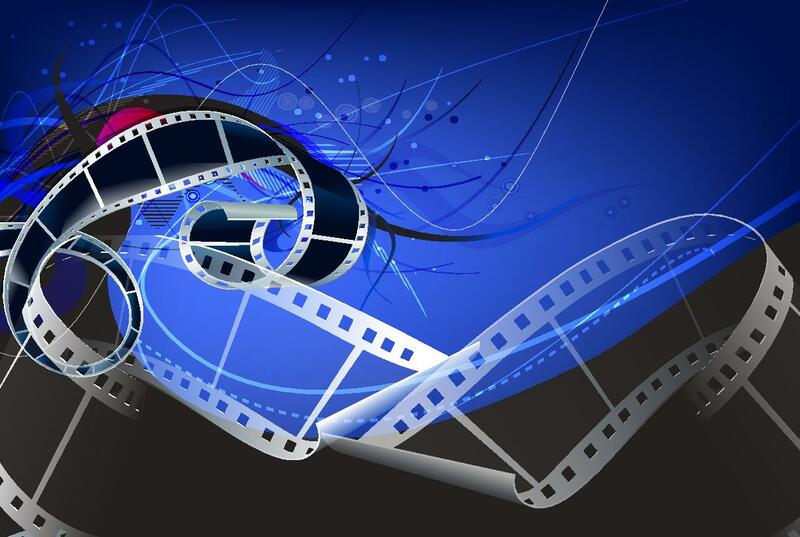 This is not surprising and the reason why agents, publishing houses and film industry executives include a caveat before accepting drafts and scripts, that though a work might be copyright protected – it sometimes transpires that more than one person might have worked on and submitted a similar storyline. In any event, we smart ones all think alike 😀 There goes the trumpet! P/s I read your comeback to my rough verse – hmmm, should we continue, me thinks, but remain unsure. Just posted my offering Eric. Rough verse eh! I don’t think so. Sure there’s nothing like a bit of banter once it does not get to the competitive stage it would then be time for me to bow out I believe you would have a lot more ammunition so to speak than I.
Banter > fun, Competitive > not fun. Oh, if you are interested (and have the time) check out this haiku exchange I had with a great blogger friend – Jeannie > http://wp.me/p1YE83-th Unfortunately, she stopped blogging a few months ago. Look at the clock times and you’ll get an idea of how intense that was. P/s I’ll pop over to catch up with your posts later today. I too comment often, I did learn that even when people say they want contrary opinion, they usually don’t. Still I figure they can always delete it if they don’t care for it, as I will. Sometimes a particularly good haiku inspires one in the comments. That’s the special fun of haiku. I always hope that doesn’t offend. When I first started blogging, I was sucked into a couple of the “I really appreciate your candid views” invites. Of course, when I gave my “candid views” I received nothing but vitriol and venom. Did I learn? No! But after three lessons, the message got through and I am more careful. But, not all is lost. I have had a couple of genuine invites and these bloggers are so refreshingly generous. I’ve built great relationships with them. Like you, I also post haiku and even poems (all mine) as Comments – some bloggers love it and others see it as stealing thunder out of their works – so, we need to tread carefully, I reckon. You are welcome to post your haiku and poems as Comments – as a matter of fact, I actively encourage them and actually showcase contributions in my “Gallery” format as you know. A great post. I can’t remember seeing a truly negative comment… a blog’s audience will have sought out the subject matter in the first place and therefore have at least a minimum resonance to it. In this light, a comment shows a real interest in a subject that the reader already finds interesting… so, yes, a comment really should be relished! What you say is right. I once had a female reader who berated me for posting only “dark and gloomy stuff” – yes, “stuff”. She insisted – more like demanded – in haughty words that I should write more about love and light. I politely directed her to the thousands of blogs out there – informed her that all she had to do was to search for “love” and “light” stuff! She was not “following” my blog and never posted a comment and then, wham! I recalled drinking extra strong tea before replying to her. This is a great post and very eye opening one for me. I personally need to work on both my comments and replies. I don’t know whether it is due to shyness or embarrassment, but I feel myself many times to be far too generic. When I do say that I like a particular post, I honestly do like it, but I sometimes feel that I should say more (although maybe not as I don’t really know what other writers expect). When it comes to criticism, either fortunately or unfortunately, I only had this happen to me once. The comment that I received was rather aggressive, criticizing both my opinion and disparaging the poem as well, but not from a literary standpoint. Unfortunately, I responded in like-kind, which in retrospect I regret. In either case, this individual and I went back and forth a bit discussing the virtues of our views, ultimately ending with a more respectful tone toward each others points-of-view. When it comes to aggressive criticism, I think I need to view it from a more psychological point of view in an attempt to get to the root cause of the individuals comment. Constructive criticism on the other hand I try to take just as intended and with grace. Yes, it is hard to do, but ultimately it helps me grow. Thanks for the post Eric. I’m glad you found this post helpful. Unfortunately, WP does not allow anything other than a “Like” but I suppose that’s where the “Comments” kick in. Your reaction to what was obviously unwarranted criticism is only natural. Very happy indeed that both of you managed to iron out most of the differences and closed the gap graciously. When confronted with nasties – and I’ve had a few – I usually sleep over it before deciding whether to “trash” or “publish” and “reply”. The time taken always helps with better quality decisions, for me. 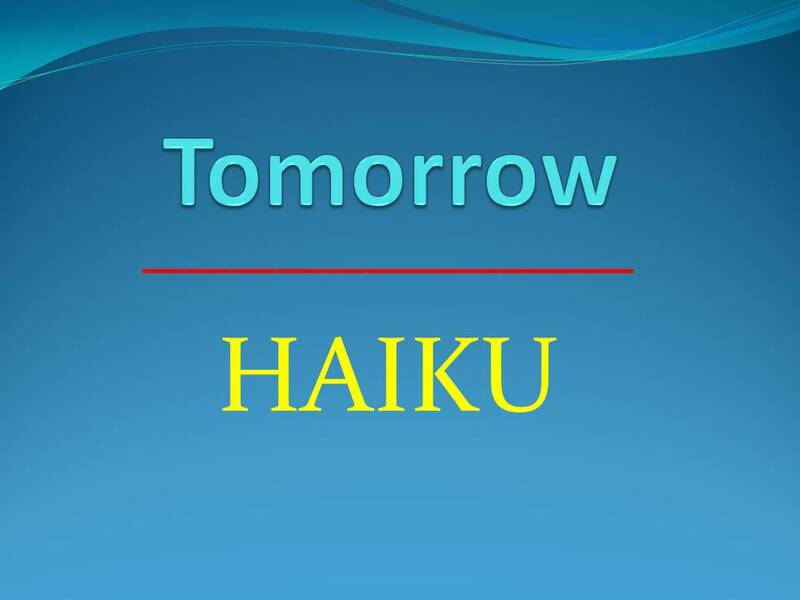 P/s Love your haiku – pardon me if I don’t always comment – only do so when I really want to share something. Well, I am still relatively new to Bloglandia, and so I do not get many comments on my posts. I try to leave comments on others, but sometimes I am busy, and I feel that all I can get to is reading the post, and then hitting like, if I am so inclined. I try to respond to something in the post that resonates with me. Sometimes, I simply say, “Nice post.” It all depends on the post itself. Sometimes, I feel as though I have something to say, but there are already 100 comments, and so I don’t bother. I have written a lot here (too much? ), and so you can rest assured that this post provoked my thoughts. No, you’ve not written too much. Write all you want as long as they are your thoughts and words and not quotes of something a dead guy said. If I come across a hundred comments, it would not stop me from having my say. You’ll see that most comments tend to be similar – but all are valid comments and welcomed, if I might add. I believe the blogger will truly remember my contribution. Incidentally, the blogger wrote a beautiful reply – we made each other’s day, I reckon. So, with a bit of effort and creativity, we can add value all round. And this is good practise, no. Replaced that “told” with “don’t” as I reckon that was what you meant. Yes, leaving comments exposes us to replies and sometimes, one never knows what we attract – if anything at all. I leave comments on posts that touch me and must confess that, when my effort and appreciation are ignored, I’m disappointed. There are some bloggers who routinely do not reply to comments – not surprisingly, I’ve seen their readership dwindle. And once people are tuned off, it is very difficult to get them to return. Sweet positives are the way to go, I agree. I also think the “Like” button keeps many people from posting a comment. Sometimes it is easier to hit the like button. I actually like the “Like” button as when I’m in a rush and/or unable to post a meaningful comment to something I like – I rather hit “Like” than simply ignore their effort. But it is tough to hit the “Like” button when we read something sad/tragic — in which event a Comment would be more appropriate if we want to acknowledge. Absolutely! You wrote a fine piece on the topic. I don’t attract any traffic with my content, but when someone comments, even negatively, I am entirely grateful, feel like a lucky person that my writing is not lost in some black hole, and when we are as busy as we are, and when there are so many fine blogs to get to, someone taking the time to comment is a rich blessing. I love the Likes also. I was just over at your blog and shall return to read your posts. Also ticked to receive your updates. I see that you already have a nice number “following” and this will only grow in time. My sentiments are, at the least, negatives acknowledge our presence. When ignored, they ignore our existence. Thank you for your kind comments, and I like that there is hope in hate! This is awesome, Eric, and so beneficial! I try to comment as much as I can, simply because (with honesty) I love receiving comments. However, there are times when “liking” only is more realistic due to time constrictions. Therefore, I completely understand when other readers don’t have the time, but they enjoyed the post, so they “liked” and didn’t comment. I assume we’re all in the same boat…as we follow more people, it’s very tough to keep up. As to negative comments, I don’t really think they’re necessary, unless written with tact and consideration for the blogger and other readers on that post. If it’s constructive criticism, I’m fine with that. Such as, if I have a spelling error, please let me know, because I’m a grammar fanatic! I haven’t received any horrible or mean comments, but if I did, I’d trash them. No need for them on our public blog, when obviously, we feel good about what we posted. Otherwise, we wouldn’t have posted it. I hope this all makes sense and thanks so much for this helpful post, my friend! First and foremost – readers who love love-poems ought to read your love offerings. Very right about burgeoning numbers of excellent blogs while our time remains inelastic. All the more reason, those who love receiving comments, “likes” and even visits, need to constantly step up their game. The alternative is to narrow to a handful of blogs and give them their due time and credit. Subconsciously, many of us would eventually gravitate to this. You’re probably right about negatives – especially the mean or even clumsy ones – the trash bag is just a click away. What’s more, mean commenters do themselves a great disservice, I reckon. My considerations when I post “Replies” and “Comments” are to compliment, encourage, and to probe more about the author’s writing as a way to get to know them better in their expression. How I handle negative feedback to my comments and replies is to accept it and as a challenge to improve in expressing, taking note of my grammar and spelling, and even increase my vocabularies to express better. Those are the reasons for me to enclose “Comments” and “Replies”. Compliments and encouragements are like sun and rain for the sometimes shy and tentative shoots. And so very right – words are windows to writers hearts and minds. You are very receptive to negatives – this is laudable as not many can handle them. But for those who do – potential rewards await. But of course, we assume these negatives are crafted to help and not to demolish. go back and touch again as they reread…. interesting post over my cup of coffee….